The unfortunate truth is that most people who start coaching businesses end up having to shut them down. This is true in any industry, of course. Most entrepreneurs fail. But it's particularly frustrating for me to see it happen to coaches because these are people who want to unleash potential and they are often really good at it. So, why aren't there more successful coaches out there? It all comes down to consistency. 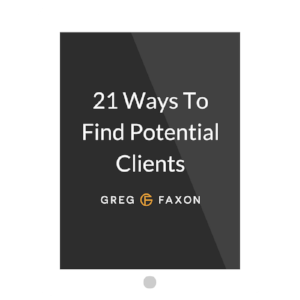 Most coaches can't consistently generate enough clients to keep their business afloat. So it's no surprise to me that people want more consistency in their coaching businesses. The problem is, most coaches aren't willing to be consistent themselves. Someone tells you that blogging can help attract clients. So you blog for a couple of weeks. Then you hear that webinars are working well. So you run a webinar. Facebook ads? You try that too. And none of it works. Not because there was something inherently wrong with those tactics, but because you never stuck with any one of them for long enough to get traction. Or maybe some of it does work. You get a few clients, focus on them, and then promptly stop doing those marketing activities altogether. This is what creates those feast and famine cycles where your income fluctuates each month. Here's the deal: lots of things will work if you are willing to be consistent. And almost nothing will work if you're not. Of course, this is true in all different areas of life (weight loss, relationships, etc.). Without consistency, you can't figure out what works for you. And you can't establish momentum. A good rule of thumb is to resist switching gears until you've gotten through what Seth Godin calls "the dip" - the hard part where most people give up. Once you've gotten through the dip, then you can assess whether it's worth continuing with a given strategy. The time to quit something is at the beginning or the end. Not in the middle. Stop getting distracted by what other people are doing. Once you've identified a strategy that is proven and has the potential to yield good results, focus on that strategy until you've made it work for you. I personally like to give myself a defined period of time (3 months, 6 months, etc.) to keep trying something new before I re-assess. That helps me push through the dip. If you want consistent outcomes, you need a consistent process. For example: If you want more consistent referrals, create a process of asking for them consistently. Deliver real results for the people you work with. And keep tweaking until you figure it out. Because let's be honest: Dumber people than you have built six-figure coaching businesses. They just got the support they needed and stuck with it longer.